At some elementary schools, 5th grade is the last grade before students move on to middle school, and celebrating 5th grade graduation is a tradition schools use to mark this rite of passage. 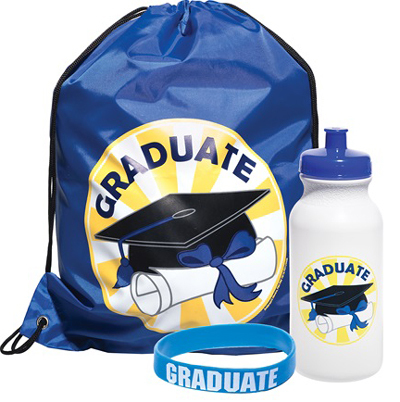 Here are some fun and easy ideas for 5th grade graduation gifts – in a variety of price ranges to fit your budget – to help give your students a special and memorable graduation. Autograph photo frames make wonderful keepsakes for your elementary school graduates. Before the end of the year, collect signatures from students in all 5th grade classes and have a photo taken of each class. Get the signatures printed (by class) on white photo frames, insert a class photo in each frame, and present the autographed frames to students as memorable 5th grade graduation gifts. Years later, students will love to look back at their class photo and autographed frame and remember the great times they had in 5th grade. Colorful, budget-friendly candy bouquets as sweet ways to commemorate the graduation of your 5th grade students. Gather up tasty treats, from chocolate bars to lollipops, arrange them in a bouquet shape (you may have to use double stick tape to accomplish this), and insert each bouquet inside a custom tumbler or mug to create delicious and fun graduation gifts for your students. Roster T-shirts are great memory-makers for your students. They feature student names printed on colorful shirts, so students will always remember the other students in their class. You can either submit a roster of printed names or student signatures to have printed on your roster shirts. Be sure to collect size information from each student, and order the shirts early to accommodate printing time. Present roster tees to students before graduation, so they can wear them during the ceremony, or hand them out at your class graduation celebration after the ceremony. They may be graduating, but that doesn’t mean learning needs to stop for the summer. Keep your students engaged with learning all summer long and get them prepped for middle school by handing out books and bookmarks as 5th grade graduation gifts. If you have a small class or grade, you can customize the books you choose for each child, based on his or her interests and personality. For larger groups of graduates, choose a few books with wide appeal. Present the books inside a custom backpack and add a custom bookmark. Water bottles are staples in kids’ lives these days, and kids love it when they have their very own bottles for use at home or on the go, so personalized bottles make amazing gifts for your 5th grade grads. Either choose water bottles that come personalized with a student’s name, or make your own. Just grab some solid color (dark, opaque colors work best) water bottles, stencils, and some paint. Choose a water bottle for each student and stencil his or her name on the front to create a personalized gift for each graduate. By the end of the school year, students’ backpacks are most likely worn out and unusable for next year, so why not present your 5th grade grads with fun new backpacks or bags that they can use throughout the summer and well into the next school year. Choose bags that you can customize with an inspirational message or the name and logo of your students’ middle school. Your grads will love their new “big kid” bags and will be proud to use them to carry everything from homework to gym clothes. 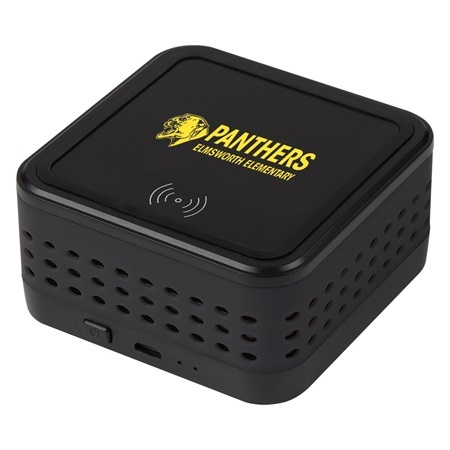 Make sure your students have memorable 5th grad graduation gifts to mark their transition from elementary school to middle school. Every time they use their graduation keepsakes for years to come, they’ll remember the great times they had in 5th grade.